If you are a food producer in the West Gateshead area you may be interested to be pinned on our local food map for free. This means free publicity for you. Please fill-in the form below and don’t to forget to click on the send button once you’re done! Our Local Food Map is a great and free way to advertise your activity if you are a local food producer in the West Gateshead area. Before starting your application please read through our 4 absolute criteria to be eligible to our local food map and tick boxes that apply to your activity. Is the business locally owned? For example, does the owner live within the region? Local producers should be small businesses, not part of a national or multinational. Fewer than 250 employees(as definition for SME). Please also let us know if you are a Franchise? In this section we are asking you to provide essential information that will be displayed on the Local Food Map for your Activity. Please describe briefly with your own words. This text will be displayed on the map to describe your activity. Please indicate your regular opening time and bank holidays activities if it is relevant for your activity. Please share any links you would like to see on the map for your activity. This is the email address that you would like to see on the local food map if you want people to be able to contact you via email. This is your offical address or postcode or geographical coordinates. It will be used to locate your activity with a pin on our map. The following section will be not published on the map. We need these details to be able to contact you to let you know if your application has been accepted or to ask you further questions regarding your application. We will only keep these details for that purpose, we will not use them for anything else and we will never share them with anybody else. Transition West Gateshead Local Food Map is a free online tool for local food producers in the area of West Gateshead. It allows you to advertise your food activity for free. WE (Transition West Gateshead or TWIG and transitionwestgateshead.org) cannot be held responsible for any conflict,disagreement and/or misunderstanding that YOU (local food producer) could have between YOU and a person, a group of person or an organisation. WE cannot be held responsible for any loss (financial, material, of goods or of any other sort) that YOU could suffer from. YOU are responsible for the content and text describing your activity, contact details and all other information that YOU are sending us. WE cannot be held responsible for any outdated content and text regarding your activity, contact details and all other information that YOU are providing us with. WE cannot be held responsible for any typos and wrong content and text regarding your activity, contact details and all other information that YOU are providing us with. However WE commit to correct any errors or wrong information regarding your activity, contact details and all other information if YOU let us know. 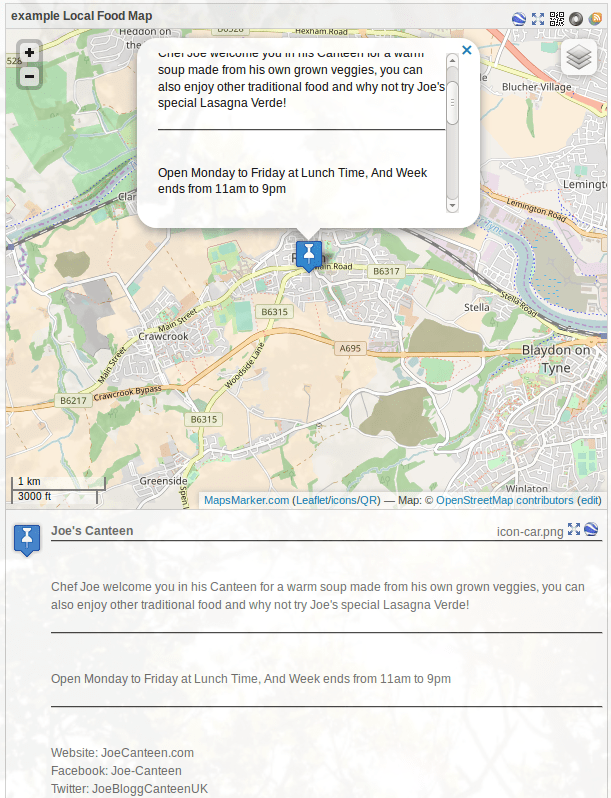 YOU can update your content and text describing your activity, contact details and all other information by sending new data to foodmap@transitionwestgateshead,org and YOU understand that WE may not be able to update your data as fast as YOU want. YOU understand that WE are a group of volunteers not gaining any financial or material income from publicising your activities. We will contact you shortly after we have received your application form. Previous Post Bus timetable for R3, R4, R5 and R6 buses.